Backblaze provides completely unlimited storage and unlimited bandwidth, enabling you to backup as fast as your Internet connection permits. Use the Internet bandwidth you have most efficiently. Switching between fast and slow connections? 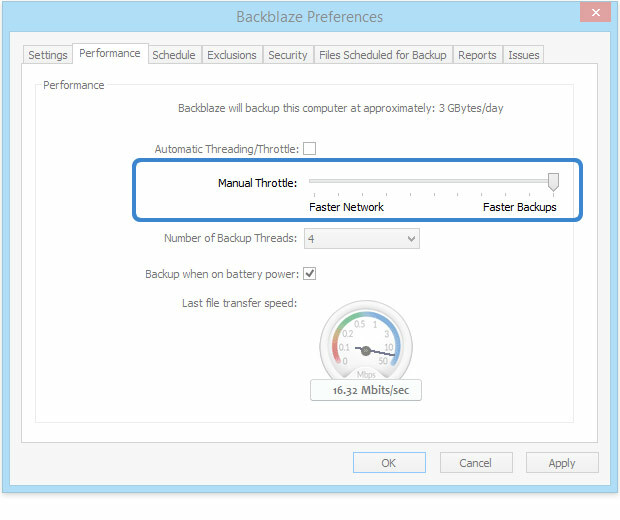 Backblaze automatically adjusts the speed of backups. To the left ("Faster Network") to use less of your bandwidth and backup slower. To the right ("Faster Backups") to use more of your bandwidth and backup faster. All the way to the right to use all of your bandwidth, no matter how much you have. Note: the maximum bandwidth you can use will always be limited by the speed of your actual upstream Internet connection. 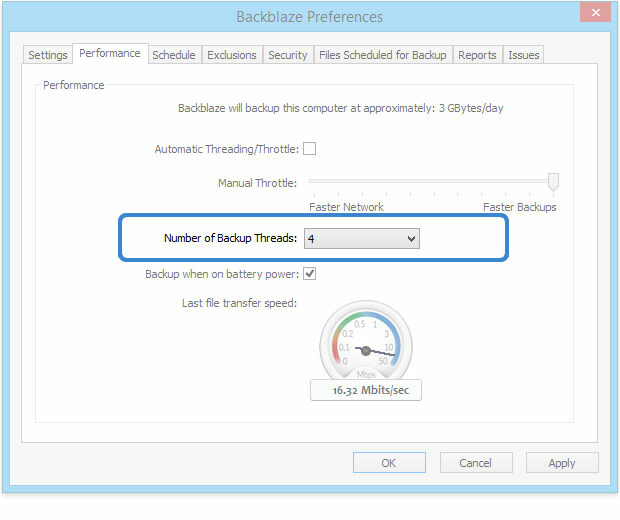 Selecting manual threading will allow you to select how many threads you wish Backblaze to use when backing up. 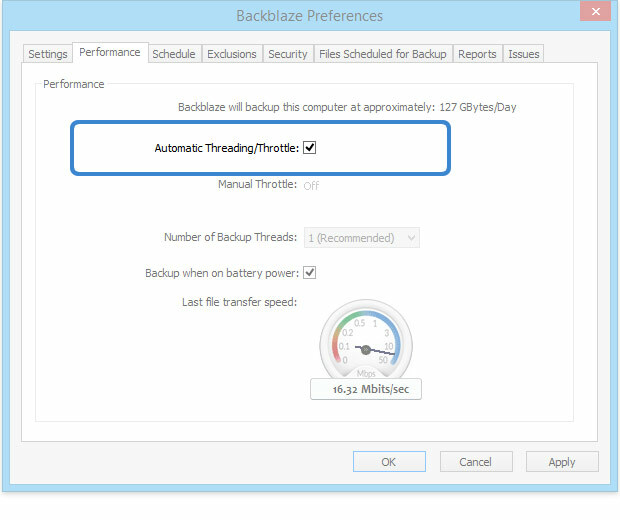 The more threads you use the more resources Backblaze will use to back up your data more quickly. Note: if you have limited bandwidth, selecting more threads may have the opposite affect as the bandwidth may become saturated resulting in slower uploads. For most users, the automatic settings will be sufficient.